According to a recent Zenith Media report, the global internet advertising expenditure will grow by 13% to reach $205 billion in 2017. 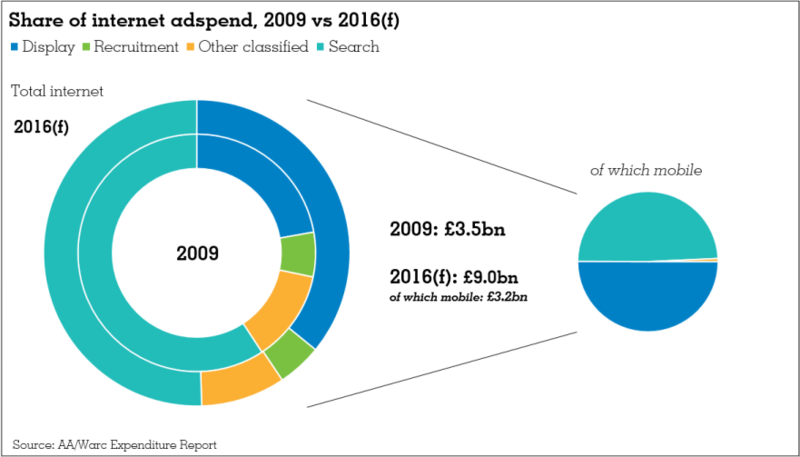 The research stated that internet advertising will attract 36.9% of all advertising expenditure, up from 34% in 2016. This is the first year when more money will be spent on Internet advertising than traditional television advertising (which will total $192 billion). Internet Advertising spends grew 17% in 2016, down from 20% in 2015, and expected to grow to 13% in 2017, 12% in 2018 and 10% by 2019 (though it will continue to add $23bn-$24bn a year).